PPATH has daily "BP Dead Animal Count" updates. Today, it's 53,850! 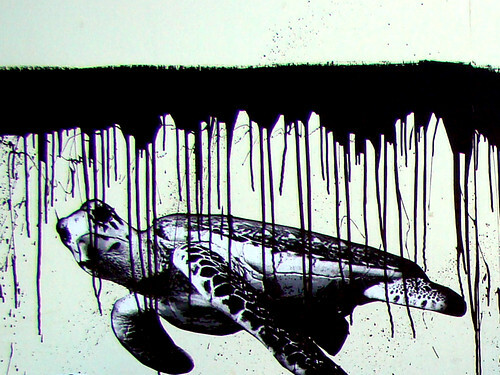 What The Public Can Do To Help Wildlife Harmed By The BP Deep Horizon Spill. • Contact United States Secretary of Interior Kenneth Salazar at either (202) 208-3100 or feedback@ios.doi.gov and inform him that you want US Fish & Wildlife Services, not BP, to command all aspects (and related communications) regarding the rescue and rehabilitation of wildlife effected by the Deep Horizon spill. • Contact Assistant Attorney General Ignacia S. Moreno at (202) 514-2701 and request the Environment and Natural Resources Division of the United States Department of Justice bring suit against BP for violation of the Endangered Species, Marine Mammal Protection, Migratory Bird Treaty and Clean Water Acts. • File a Freedom Of Information Act Request at http://www.fcc.gov/foia/ Request information from US Fish & Wildlife and Marine & Fisheries regarding all the harm done to wildlife and ecosystems by the Deep Horizon spill, as well as BP’s involvement in the rescue and rehabilitation of wildlife and restoration of wildlife habitats.